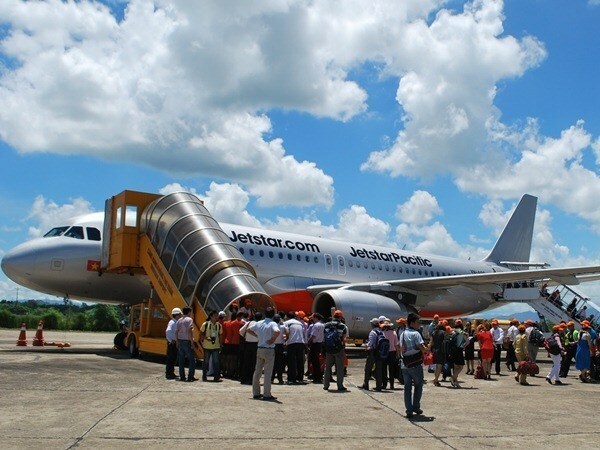 With the launch, Jetstar became the first low-cost airline to offer direct service between Vietnam and Japan. The airline operates four round trips per week using the 180-seater Airbus A320 on the two routes. One-way tickets have been sold from mid-June priced from 68.18 USD, exclusive of taxes and fees. Nguyen Quoc Phuong, Jetstar Pacific Director General, said that more than 20,000 tickets for both routes have been booked so far. The two first flights reported an occupancy of over 90 percent. At present, there are about 16,000 Japanese people living and working in Vietnam, while around 180,000 Vietnamese are living and working in Japan. Last year, Vietnam welcomed more than 740,000 Japanese tourists, and the number is expected to grow, especially with the launch of the low-cost air services. Jetstar Pacific, a member of Jetstar Group, one of the Asia Pacific’s largest low-budget carriers, is flying on 37 domestic and international routes. It has two major stakeholders – Vietnam Airlines and Qantas Airways.